Leftovers can work so well for this recipe. 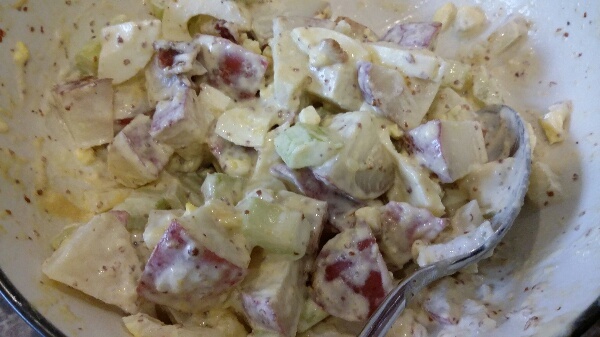 I made my Garlic Red Potatoes the other night, and used the leftovers to make this great potato salad. It came together in minutes! Mix all together and enjoy. Taste to see if needs any salt or pepper. Super easy!